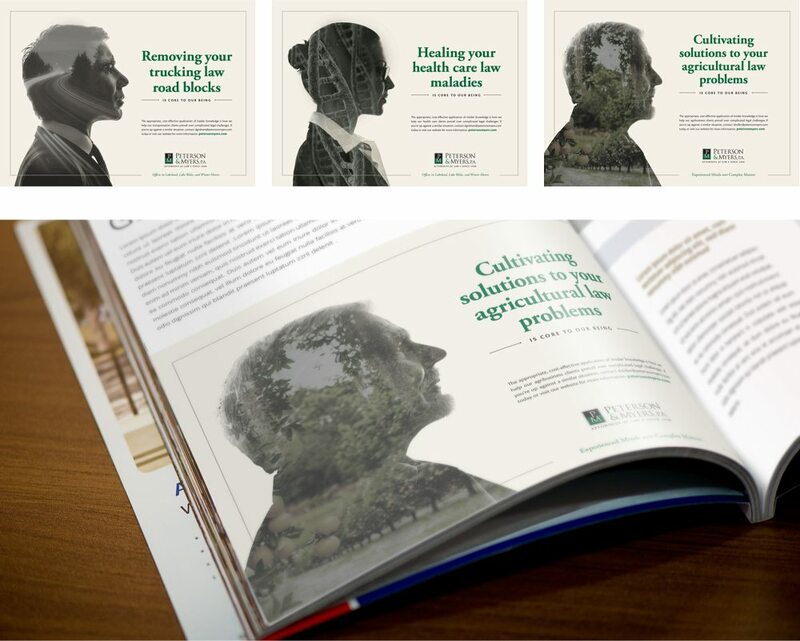 Award-Winning Website, Identity Refresh and Ad Campaign for Established Law Firm. 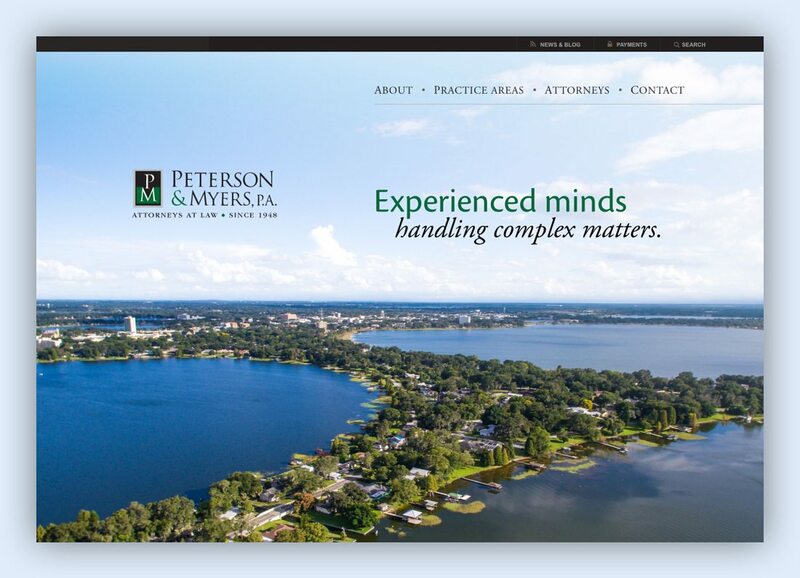 Peterson & Myers has been a respected fixture of Central Florida’s legal landscape since 1948. 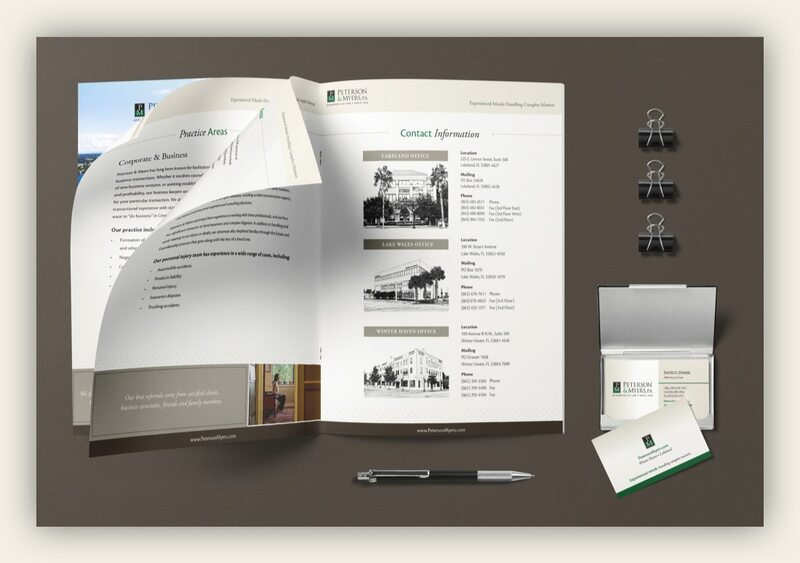 With offices in Lakeland, Winter Haven and Lake Wales, they’re deeply rooted in Central Florida and have set themselves apart by delivering the capabilities of a big firm without the impersonal atmosphere. Their redesigned website elegantly communicates this unique identity, pairing custom drone photography with line-drawn illustrations for a refreshing design approach that conveys a strong sense of place.